Looking for the right driving course? Crescent School of Motoring offers personalised lessons to suit every level of experience. If you’re a new driver, take your first steps into driving with myself. I have over 30 years experience and tailor your course to the way you learn, ensuring you learn at your own pace. Just passed? What next? Book a Pass Plus course . You can gain more confidence in positive driving and it may even help lower your insurance. For those of you that haven’t driven in a while, or have lost your confidence, I can tailor specific refresher lessons to help you get back behind the wheel. Why learn with Crescent School of Motoring? The Crescent School of Motoring is a family run business and has served Kidsgrove and the surrounding areas for over 50 years. The company was first established by Peter Crowther-Green in 1962, and he was joined by his son Paul in the late 1970s. After a long and successful career, Peter retired in the late 1990s and Paul has continued to run the business, maintaining its exceptionally high standard. Talke, Talke Pitts, Rhode Heath, Goldenhill, Sandyford, Burslem, Middleport, Packmoor, Bradwell, Wolstanton, Mow Cop, Alsager and Tunstall. If you do not see your area written above, please do not hesitate to contact me on 01782 771407 during office opening hours. Before I had my first lesson with Paul I didn’t want to be a driver, I’d always been a nervous passenger so the thought of driving terrified me. After having a chat with Paul and going on my first lesson, Paul made me feel relaxed, calm, at ease and I knew that he’d work with me at a pace I was comfortable with. Paul helped me not only develop into a good driver but also into a much more confident person on the road. Paul helped me achieve what I never thought was possible, he helped me turn something I dreaded and feared into something I now love, with Pauls help I became passionate about driving and I passed my test first time. I would recommend Paul to anyone in a heartbeat, he is absolutely fantastic, thank you again for all of your help. Paul as a driving instructor is brilliant. I would definitely recommend him to anyone who is thinking about learning to drive. He makes the experience of learning to drive an enjoyable one and makes you feel very comfortable in what you are doing. This is a quality that is definitely needed from an instructor but what you don’t always get. If you are having an “off day” Paul is not one to criticise or become frustrated if you don’t perform as well, he helps you through it and gets you right back on track. 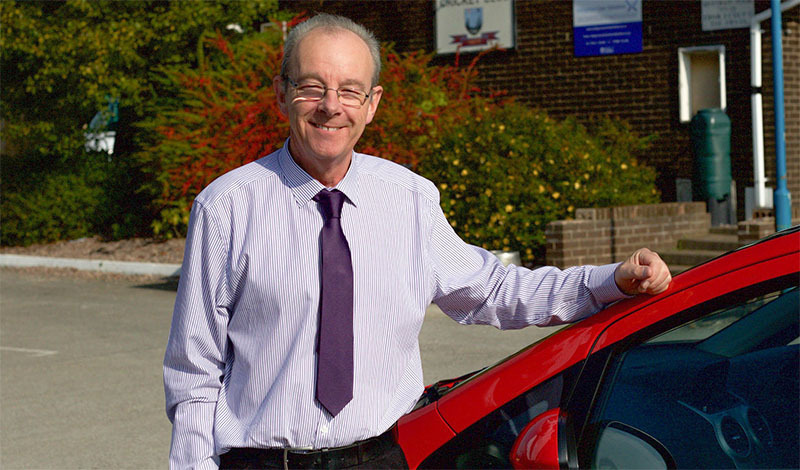 All the qualities you need in a driving instructor, patience, like ability, and a person to make you feel comfortable and at ease yet also focused and determined to get you through your learning experience Paul has. In my experience he has helped me through problems I have had with ease and always has the best methods to suit the type of person you are in tackling the problem you have. I am definitely glad I had chosen Paul as my driving instructor and couldn’t have had anyone better. I started driving with Paul after having previous lessons with another driving school after being recommended by a friend. Paul helped me to rectify the problems I had and removed my worries. I credit Paul in that I have not just learned how to pass a test, but have now learned to drive for life and feel confident in driving by myself. I believe the prices definitely justify the quality of learning I received as Paul remembered my strengths as well as weaknesses so I felt to be progressing every week. I would recommend Paul to anyone. He is an amazing driving instructor, with so much patience and he has a way of making you feel comfortable with driving and making you more confident behind the wheel. Someone recommend Paul to me after i had had two bad driving instructors, as i felt i was getting know where with them, which didn’t help my confidence. But as soon as i started learning to drive with Paul, he helped me to become a much more confident driver and gave me really good advice in every aspect of driving, because of Paul i passed my test first time. A massive thanks to Paul!!! Learning to drive with Paul has been an enjoyable and valuable experience. He has really helped to boost my confidence when driving and helps to prepare you for the realities of driving after passing your test. I would recommend learning to drive with Paul to anyone as he is an excellent instructor who always offers useful and practical advice.